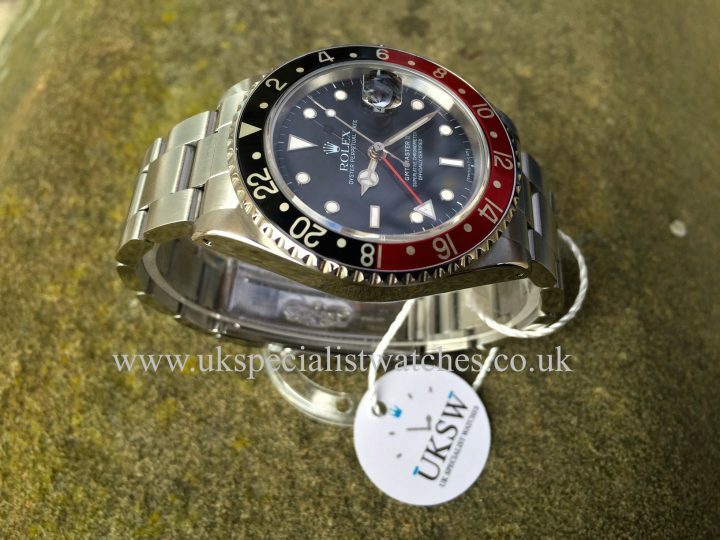 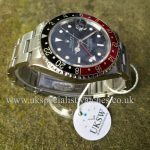 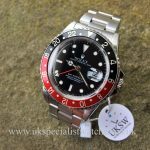 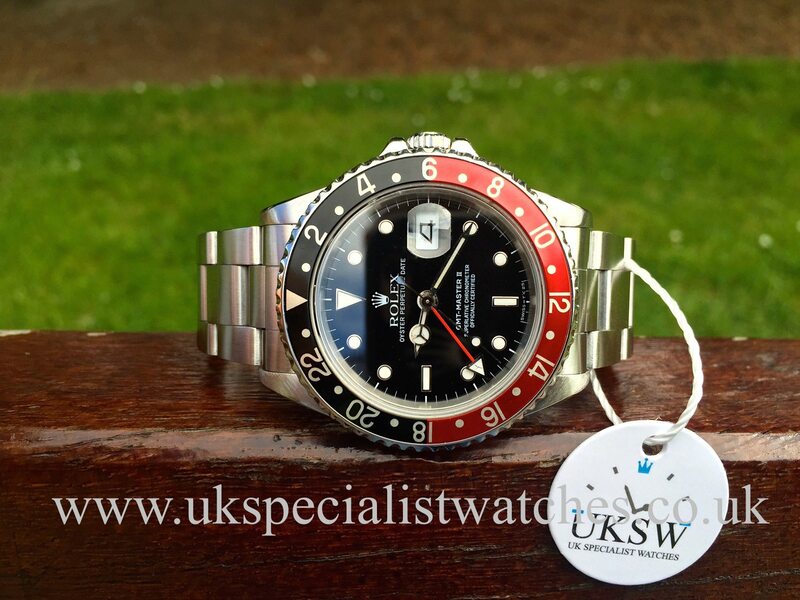 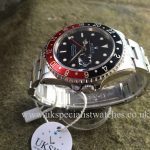 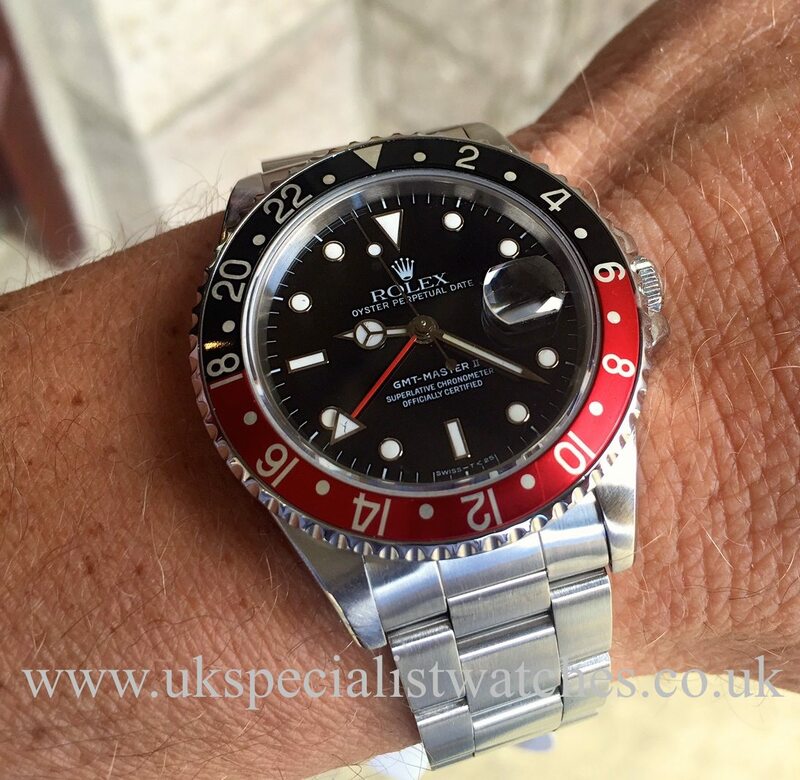 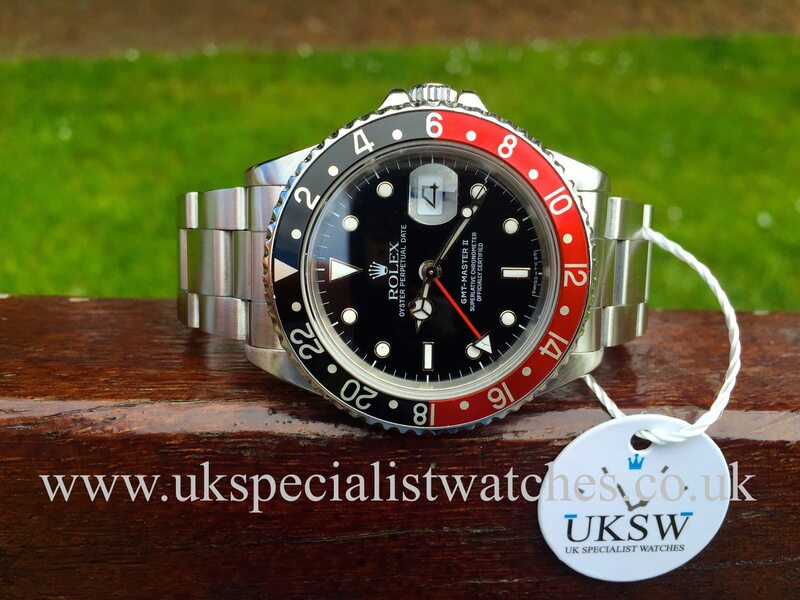 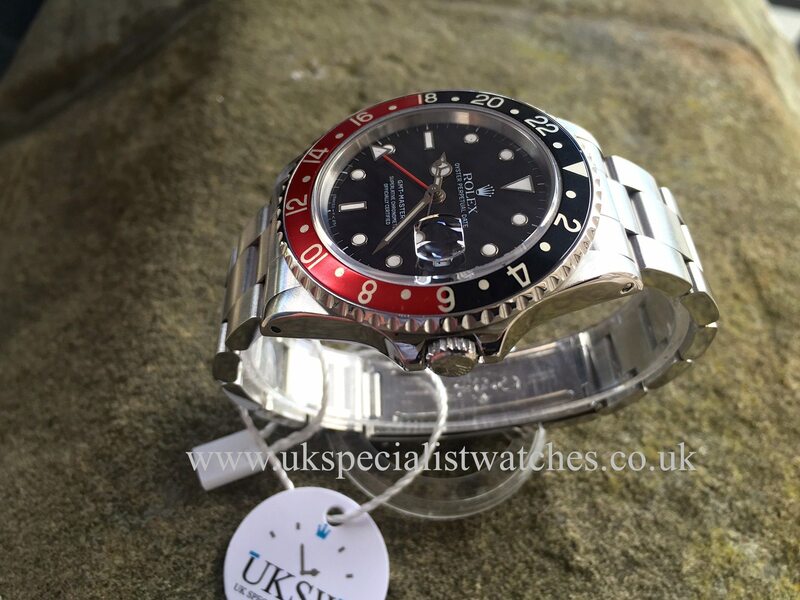 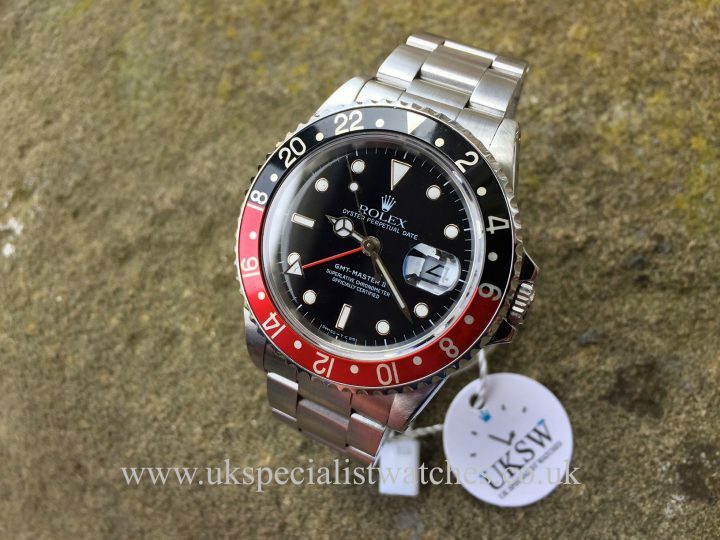 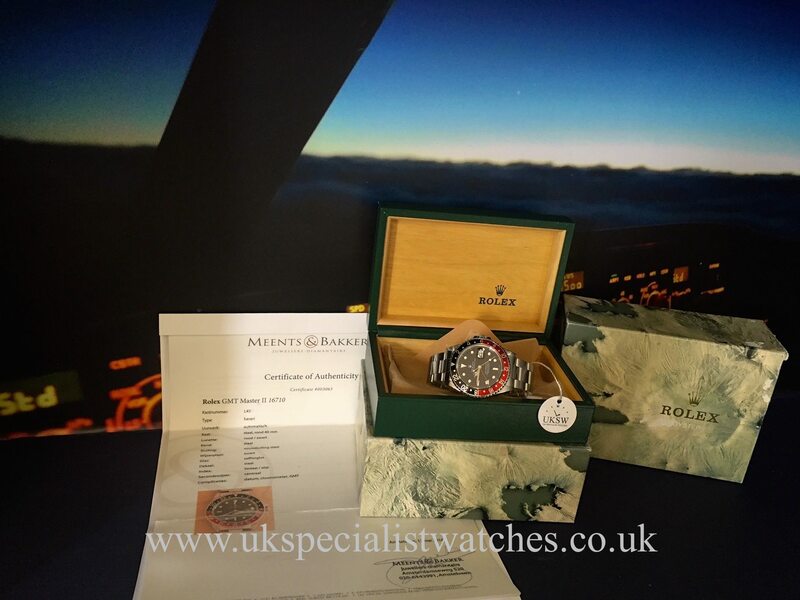 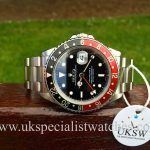 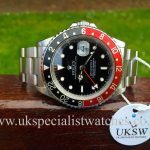 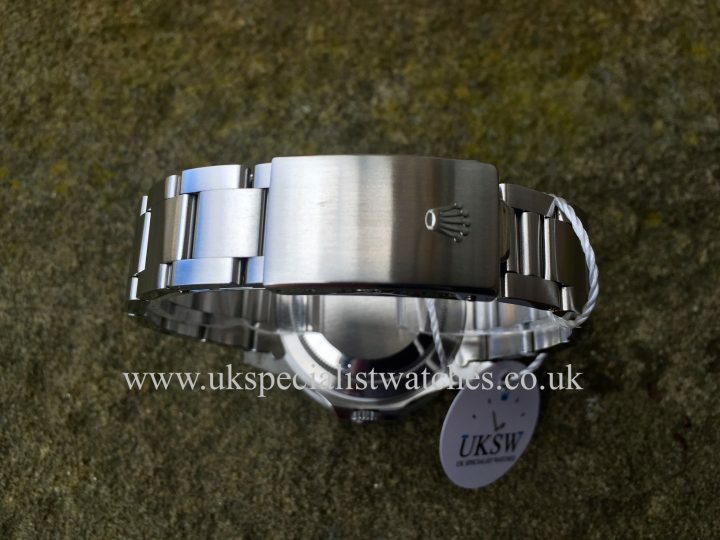 Rolex GMT II 16710 Swiss T dial with original coke bezel. 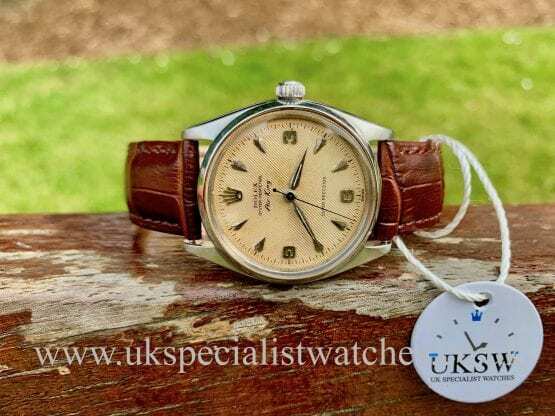 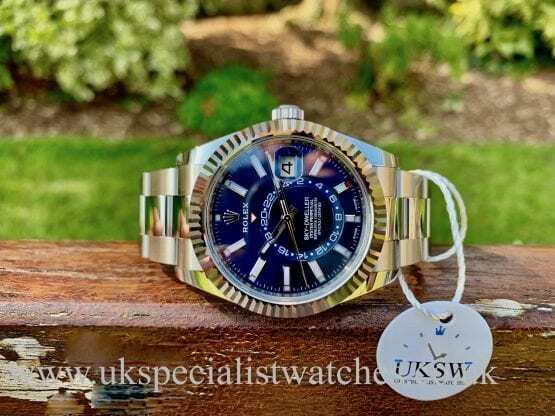 This watch is in beautiful condition with original swiss T dial and hands, just starting to show a gentle cream patina and visible original chamfers to the lugs, proving minimal polishing over the years. The prices of the coke and pepsi GMT’s have increased significantly since it’s discontinuation in nine years ago. 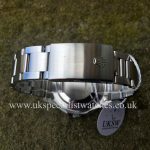 L451**** Serial Number dating the watch to 1989, sapphire crystal glass, water resistant to 100 mts, date displayed at 3’o clock. 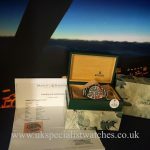 Comes complete with box and authentication papers.